Comforters are an American wording for the French word Duvet. A duvet or comforter is a pocket of fabric in sizes for bedding that are filled with duck and goose down, feathers and various synthetic materials such as polyester. Comforter sets are available in a wide variety of styles which may include comforter, pillow shams, bedskirt or dust ruffle, matching bed sheets and decorative pillows. This comforter set offering includes comforters in a wide, wide variety of gorgeous styles and colors for todays home. Complete your bedding with choices that offer budget priced comforter sets to luxury comforter bed sets. 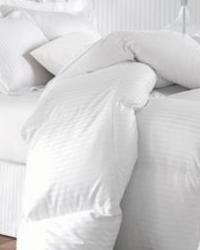 Included in most comforter sets are the comforter or duvet cover as well as dust ruffle or bedskirt and shams. These gorgeous comforter bedding sets are a must, with optional extras such as pillows and matching bed sheets in twin, full, queen and king sizes being offered. This section offers cozy down comforters in a variety of offerings from duck down to goose down and hypo allergenic. These luxurious oversized down duvets are available in several styles, weights and fabric selections. To complete your nest a Down Mattress pad is also available for your bed in twin, full, queen and king sizes. Large selection of twin size and twin xl bedding and comforter sets. Modern and classic styles to choose from. Accent pillows and other accessories to complete the look you want. These cozy goose down and duck down pillows are so feathery soft you'll think you're sleeping on a cloud. 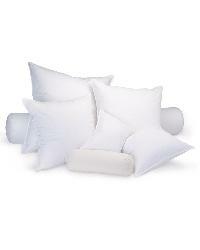 These down pillows come in a large assortment of sizes and shapes. Great for use as inserts for the pillow shams in a comforter set. Another use is to take an accent fabric and cover a down feather pillow for use as a decorative or throw pillow. This great offering of bedding includes duvet cover sets in a wide variety of styles, designs and colors for todays home. Choose from an offering of budget priced collections to luxury duvet covers. Duvet Covers are the perfect solution for updating your old comforter and adding a new look to your bedding. Accessorize your home with a traditional bed quilt. Beautiful quilted bedspreads, coverlets and throws in a variety of sizes, patterns and colors. Beautiful 100% cotton tapestry throw blankets that are great for comfort and display well on beds, sofas, chairs as well as being perfect as wall decor. 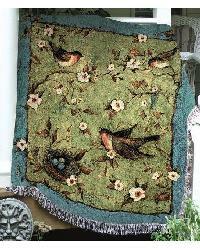 These delicately crafted tapestry throws depict exquisite scenes from nature and home in a wide variety of themes. Also included are collegiate throws for showing your support of your favorite college team. 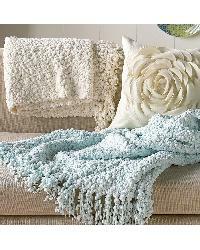 These decorative throws are great for keeping warm on cold winter nights. Choose your favorite color, pattern and size between this luxurious collection of bed throws. 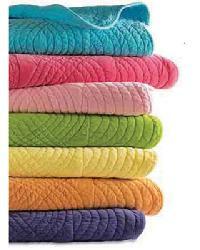 Decorative selections include cotton, velvet, chenille and quilted throws. From contemporary to traditional white, these throw blankets are perfect for the bed, the sofa, or even the chair. Comforters are an American wording for the French word Duvet. A duvet or comforter is a pocket of fabric in bedspread sizes that are filled with duck and goose down, feathers and various synthetic materials such as polyester. Comforter sets are available in a wide variety of styles which may include comforter, pillow shams, bedskirt or dust ruffle, matching bed sheets and decorative pillows.